The Eclipse Edge is a multi-service, Ethernet + TDM wireless transport solution optimised to deliver the lowest cost of ownership and simplify network migration to all-IP. 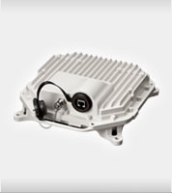 This compact, low-power and simple-to-deploy microwave radio will help reduce CAPEX and OPEX for new network extensions and cell-site connections. The Eclipse Edge’s exceptionally low-power consumption (13W) and efficient heat-sink design ensures extremely high reliability. With its small size and lightweight, site demands for power, tower loading and space are significantly lower. Altogether, ongoing operational costs and maintenance are greatly reduced for minimal lifetime OPEX. Eclipse Edge redefines cost-effective backhaul for the last-mile network edge for network operators poised for future growth.